Don’t Miss the Annual Master Gardeners Spring Plant Sale 2017! 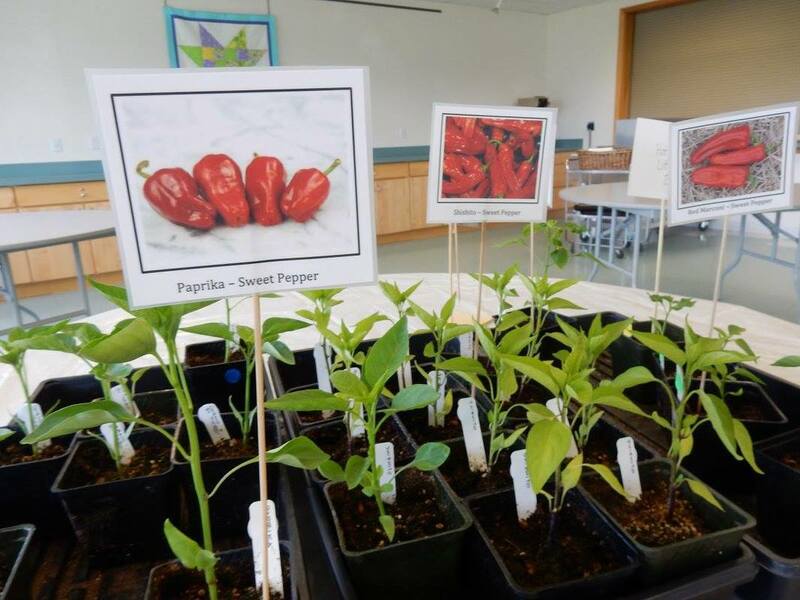 Hundreds of organic vegetable starts and perennials, all lovingly grown and nurtured by San Juan County Master Gardeners, will be on sale at the Mullis Center, Saturday May 13th at 9am – just in time for Mother’s Day! ​All proceeds from the sale are used to support Master Gardener Programs such as the Demonstration Garden at the Mullis Center. Master Gardeners at the Demonstration Garden grew over 1,000 pounds of produce for the Food Bank last year. Funds also support plant diagnostic clinics on Lopez, Orcas and San Juan Islands. Vegetable Starts & Perennials - Island grown by Master Gardeners and Organic! The Master Gardeners choose vegetables they love. They love them because they grow well in our climate, often producing heavily and early. Some are unique heirlooms, they serve a variety of uses, and all have exceptional flavor. Fifteen tomato varieties are available, including cherries of all colors. There are tomatoes for canning, sauces and drying, and for a pure taste of summer, eating right out of hand. There are hundreds of vegetable starts of all kinds, all ready for a new home. Because these plants succeed in Master Gardener’s gardens, they’re very likely to succeed in yours. 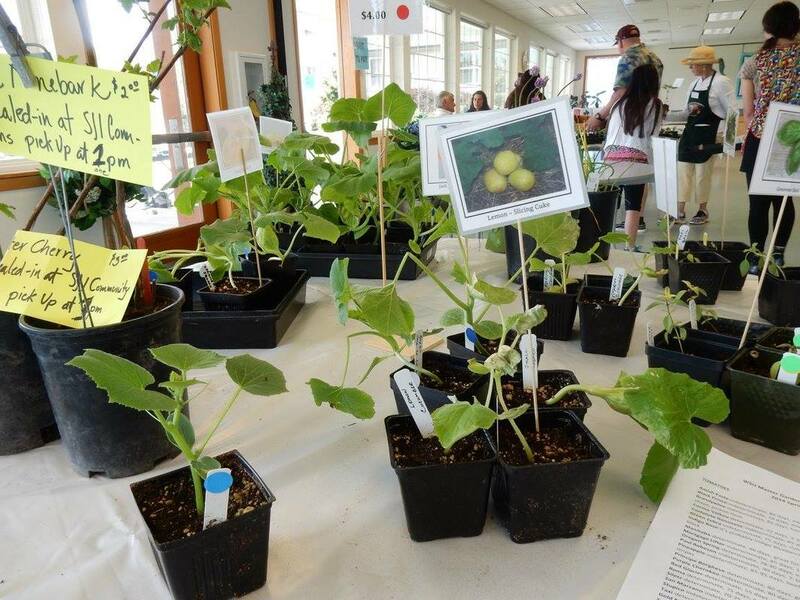 Master Gardeners will be at the sale to provide care and growing advice. Lots of Tomato Starts will be available! Look forward to tomatoes! Yellow Sun Golds, orange Gold Nuggets, red Sweet Million and Black cherry types; Roma, San Marzano, and Principe Borghese for sauces, canning and drying; and of course, tomatoes for eating right out of hand for a pure taste of summer. Varieties include Cosmonaut Volkov, developed for Siberia’s short summers, and named for the first Soviet cosmonaut; Stupice, from the Czech Republic, early and prolific; Taxi and Pineapple, both big and yellow; Paul Robeson, dark red and smoky; Provencal, whose seeds were brought back from France by Alice Deane; Black Prince, also from Siberia; and Mortgage Lifter, so named because its developer paid off his mortgage early just from sales of this tomato. All are delicious! Look for Pepper Starts - lots of varieties! Peppers from sweet to hot, for frying, drying, salsas and salads. There are Jalapeno and Serrano for heat, Padrone and Jimmy Nardello for frying, and Anaheim, California Wonder and Corno di Toro’s for stuffing, grilling and roasting. Try Turkish Paprika to make your own paprika. Cucumbers, Squash and Cabbages too! Cucumbers include Little Leaf for pickling; the large slicer Market More; Lemon for its round shape and lemon yellow color; and the Japanese Suhyo, a long and sweet slicer. Lots of squashes – all the summer and winter favorites. Several yellow and green summer squashes, including Patty Pans, yellow crook necks, Black Beauty and Costata Romanesca zucchini; Marina di Chioggia, an Italian heirloom sold roasted on the streets of Venice; and the Bush Delicata, a delicious variety that grows as a bush rather than a vine. Acorn, Butternut, Spaghetti, and both large and small pumpkins. ​The list goes on: two Savoy cabbages and one red; Russian and Dinosaur kale; “Amazing Flavor” Cauliflower; Broccoli; Tomatillos (verde and purple), and several kinds of basil. Perennials - many to choose from! The list of perennials is comprehensive, with plants suited to many types of garden environments. There are groundcovers, flowers, ornamental grasses, small shrubs, and wonderfully unique accent plants like “Chocolate Stars” (a Corydalis) to pop into a special spot. The selection also includes some native plants. Some of the dependable favorite flowers include Bearded Iris, Daylilies, blue Columbine, dwarf Cranesbill Geranium, “Wood’s Blue” Aster, “Frosted Violet” Heuchera, Primrose and Shasta Daisies. The full list includes more; there will be over thirty perennial varieties from which to choose.